DEERFIELD BEACH, Fla. – August 16, 2013 – Robert Barrett, chairman and CEO of Elite Island Resorts, proudly announces that Antiguan-born Alphonso Lake has been promoted to Chief Information Officer (CIO). Formerly a systems and operations manager for the company, which is both a sales and marketing leader for the Caribbean travel industry and Antigua’s largest employer, Lake begins his new role effective today. Lake’s rise to this executive-level position is a testament to his hard work and career-long commitment to the Elite Island Resorts brand. He began his professional journey in the 1990s as a young waiter at the St. James’s Club and Villas and quickly worked up the ranks. 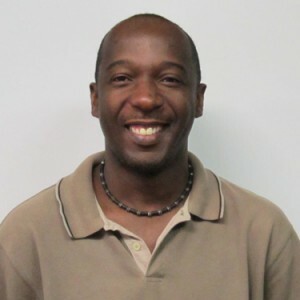 After various roles at several of the company’s Antigua resorts, Lake sought higher education in computers and technology. He continued his work at Elite Island Resorts’ corporate office in Deerfield Beach, Florida, while attending Florida Atlantic University where he earned a degree in information technology. A high-res image of Alphonso Lake is available for download at the following link until August 21, 2013: https://www.hightail.com/download/bWJvTkZzcklqV0JWeHNUQw. Elite Island Resorts represents an impressive collection of unique beachfront properties in the Caribbean. Each Elite Island Resorts property provides something unique to fulfill travelers’ desires, with offerings ranging from destination weddings or romantic escapes to family retreats or eco vacations. Resorts include: St. James’s Club & Villas, The Verandah Resort & Spa, and Galley Bay Resort & Spa all in Antigua; St. James’s Club Morgan Bay, Saint Lucia; Long Bay Beach Club in Tortola; Palm Island Resort in St. Vincent and the Grenadines; and The Club Barbados Resort & Spa and Ocean Hotels in Barbados. For more information visit www.eliteislandresorts.com or call 800-858-4618.